Got some leftover ang bao money and not sure what to do with it? The right smartwatch can help you exercise better, get more organized, and sleep better (perhaps even all three). But with so many choices out there, how do you know which is the best for you? We've rounded up five of the most popular smartwatches available today to find out which is the best. The Apple Watch Series 2 is, for the most part, indistinguishable from its predecessor. 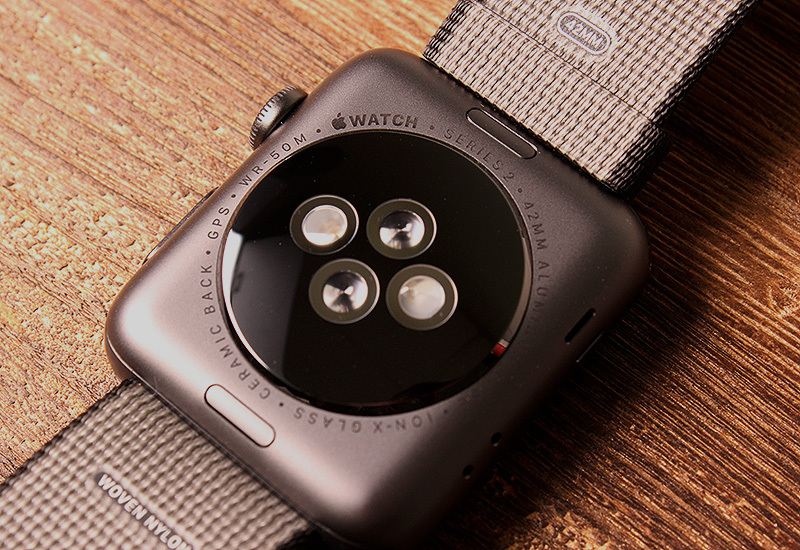 It’s still square, and it still comes in two cases sizes, 38mm and 42mm. The only difference physically is an imperceptible 0.9mm increase in thickness and some new markings on the case back, specifically: “Series 2” and “GPS. WR-50M”. Those last two markers are what makes the Series 2 Watch such a big improvement over the first generation model. The first Apple Watch did not have GPS capability, so users who wanted to map their exercise routes had to bring their iPhones along. 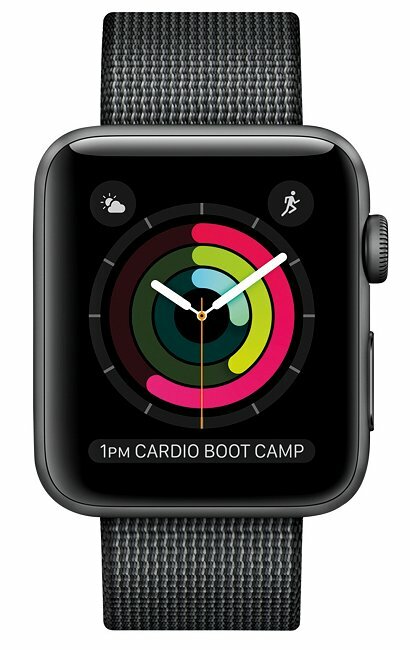 Now, the Apple Watch Series 2 uses a combination of its built-in GPS, Wi-Fi, and locally stored satellite data to quickly identify your location and map your workouts. The first Apple Watch was also only splash resistant, but the new Series 2 Watch is water resistant up to 50 meters. 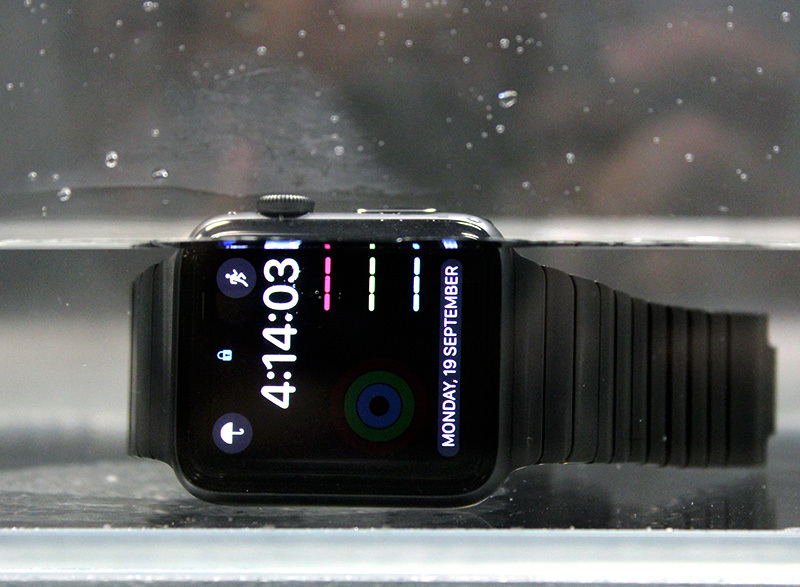 In other words, you can finally wear your Apple smartwatch while swimming. To achieve this, Apple has re-engineered the speaker in the new Series 2 watch so that it can generate vibrations to eject water out of its enclosure. 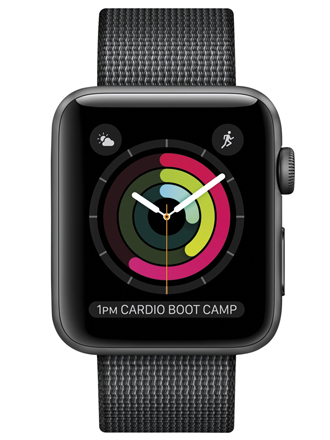 To complement its new water resistant build, the Series 2 Apple Watch now has additional Swim modes for its Workout app. Apple says it has developed algorithms to accurately track swimming activities by testing on over 700 different swimmers of varying abilities. Battery life is slightly better on the Apple Watch Series 2, but still only lasts just over a day, which means you’ll have to charge it every night. With GPS tracking turned on, expect to get about five hours at the most. Finally, two hardware improvements worth mentioning are the new S2 dual-core processor and brighter display. The new S2 processor is said to be 50% faster and offers two times better graphics performance. The display on the Series 2 watch is significantly brighter. It’s rated at 1,000 nits, which makes it more than twice as bright as its predecessor and also the brightest display on any Apple device ever. For a more in-depth look at the Apple Watch Series 2, check out our full review. The latest version of ASUS’ ZenWatch is a pretty big departure from its previous square models, and it’s now a round smartwatch with a 45mm case made from jewellery-grade 316L stainless steel with a diamond-cut bezel. 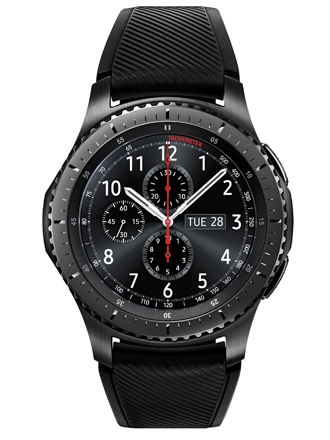 You also get a stitched Italian leather strap, which adds to the premium feel, although rubber strap options are also available if you want something sportier. 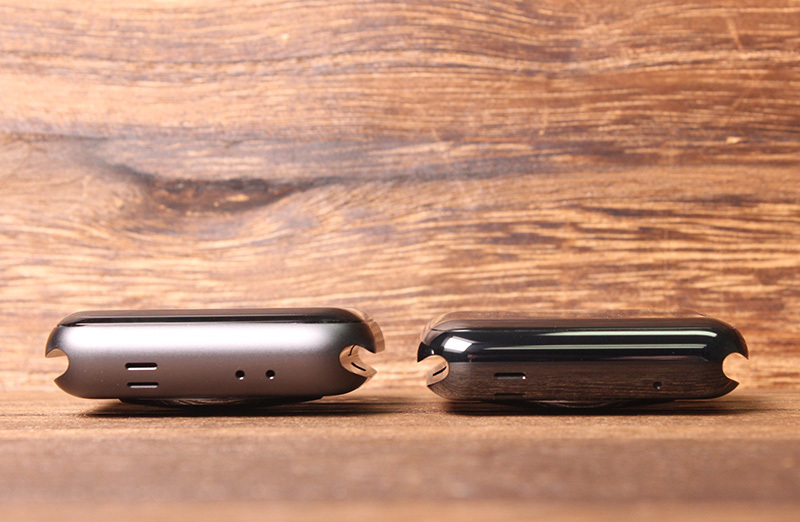 At 9.95mm thick it’s quite chunky, but still substantially thinner than the other two round watches in our shootout, the Moto 360 Sport and Samsung Gear S3. 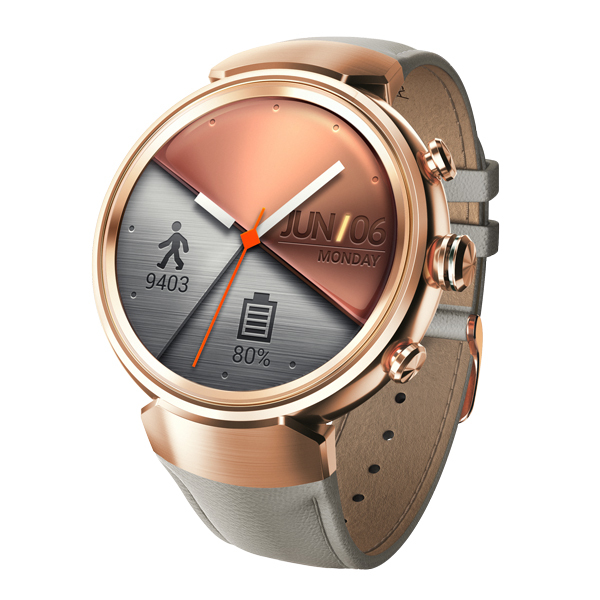 The ZenWatch 3 is available in gunmetal, silver and rose gold. 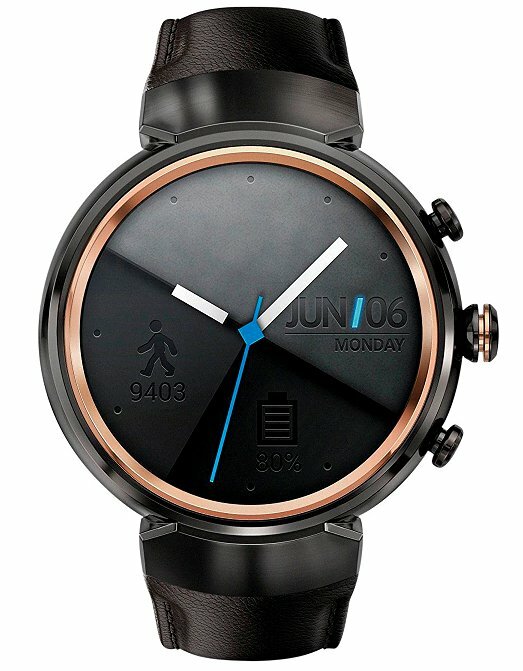 All three colors are beautiful, although it does look very similar to the Huawei Watch that launched in 2015. One thing that differentiates the ZenWatch 3 from other Android Wear watches are the three buttons along the right side of the watch, reminiscent of the buttons usually found on chronographs. For the ZenWatch, these are instead used for navigation, and you can also set the top button as a quick-launch to your favorite app. By default the top button launches ASUS’ ZenFit fitness-tracking app, which ASUS says can track activity to 95% accuracy across a wide variety of workouts including pushups. However, the ZenWatch 3 lacks both built-in GPS and a heart-rate monitor, and it’s also 'only' IP67-rated, which means it will survive a heavy rainfall, but it’s not recommended for swimming. 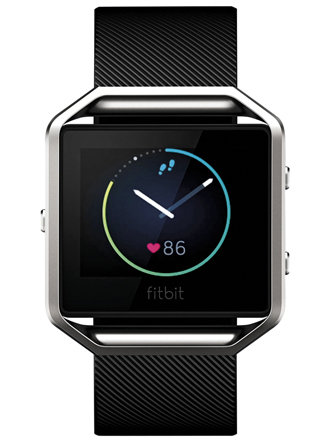 Without these features, it’s not the most comprehensive smartwatch for health and fitness. 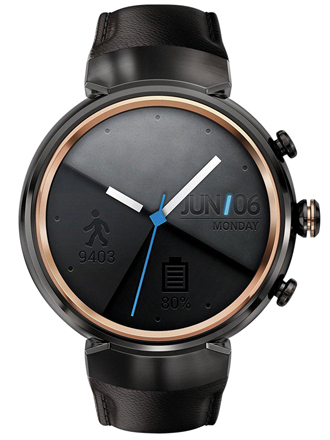 Thankfully, it has got a price to match what it offers and is one of the more affordable smartwatches around at just S$369 and it looks good. 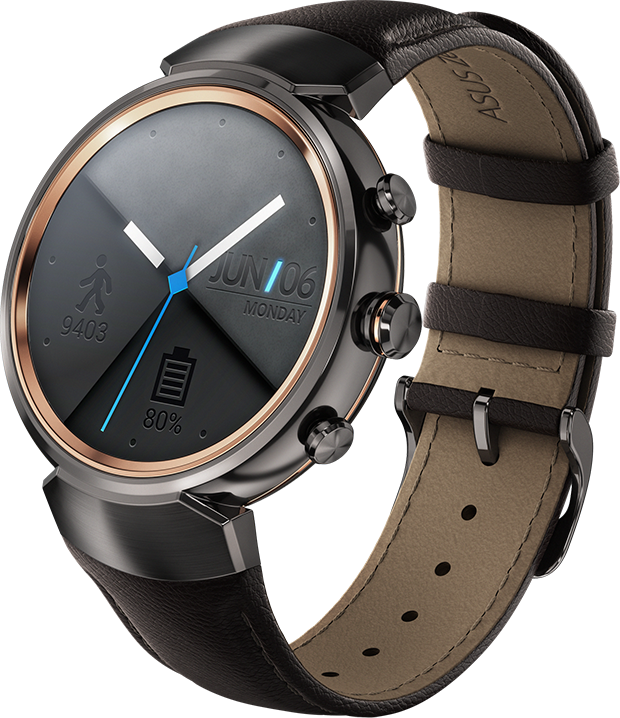 The ZenWatch 3 is the first to use Qualcomm’s new Snapdragon Wear 2100 processor. Its power efficiency gives the ZenWatch 3 roughly two days of battery life. Hypercharge technology also means that you can charge it to 60 percent in just 15 minutes. 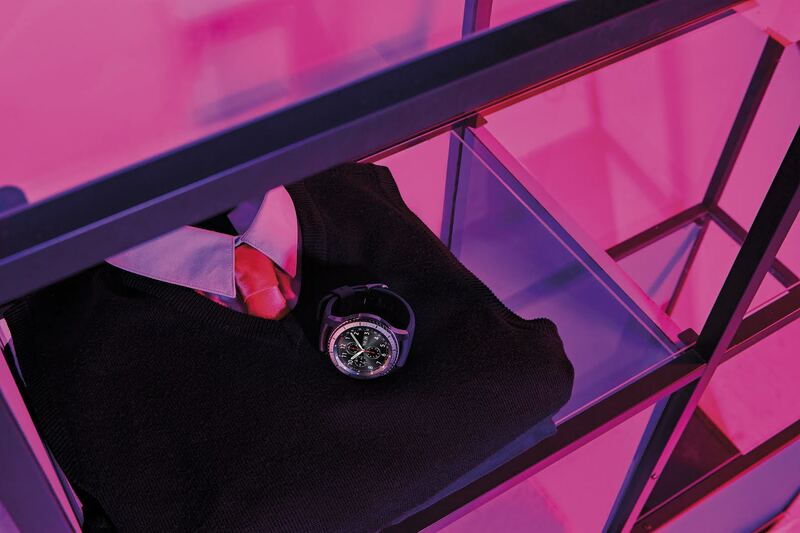 Inside, you get the standard Android Wear specifications of 512MB RAM and 4GB of internal storage. 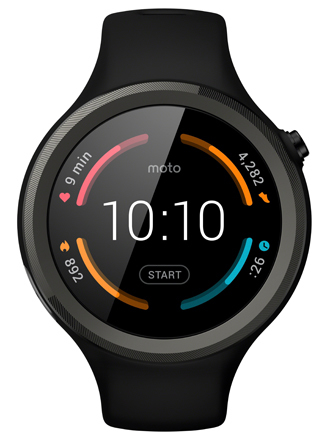 The 1.39-inch display is a perfect circle (no flat tire here like the Moto 360 Sport) and has a 400 x 400 pixels resolution (287ppi), which makes it better than both the Moto 360 Sport and Gear S3. The display is also bright and easy to read under direct sunlight.